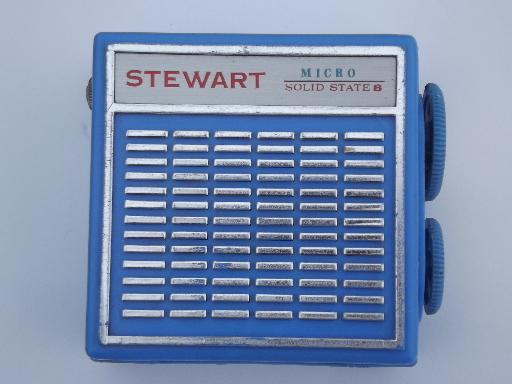 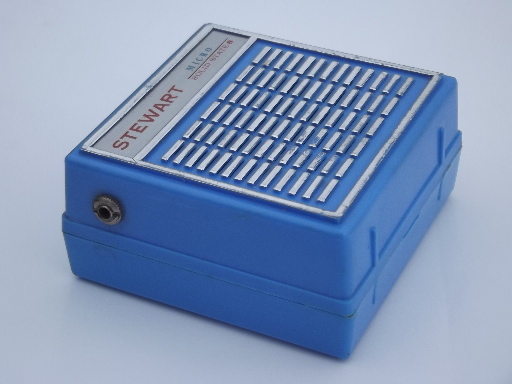 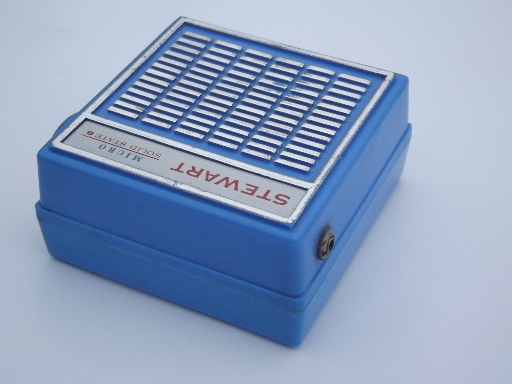 Vintage Stewart Micro solid state transistor radio with a blue plastic case. 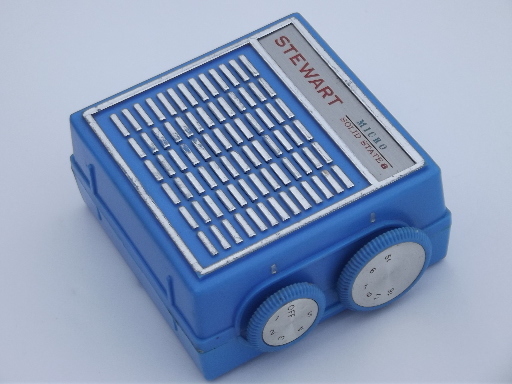 This portable radio uses a 9 volt battery and has a jack for ear phones. 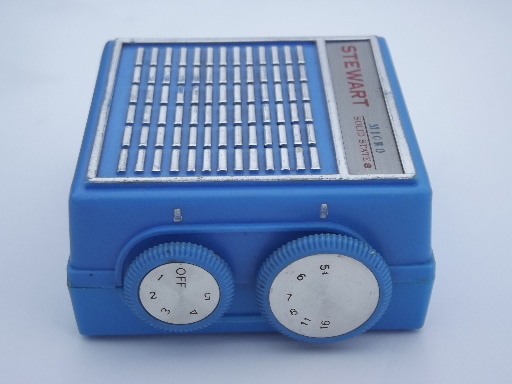 This radio is marked Hong Kong and is probably from the late 1960s or the 1970s. 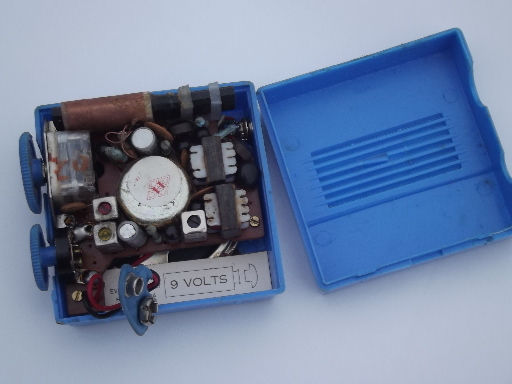 We tested this and it works (AM only we think?) 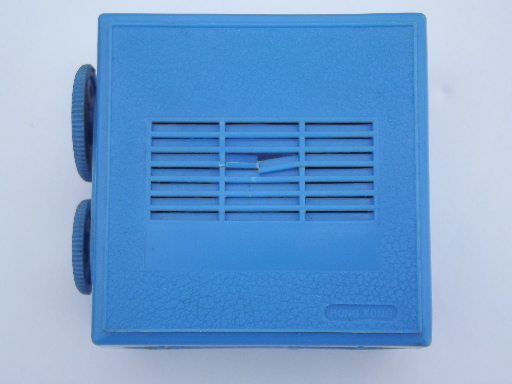 and there is a broken louver on the back of the case.